Bank Audi sae is governed by a Board of Directors consisting of 10 members elected by the General Assembly of shareholders for terms not exceeding 3 years. The responsibility of the Board is to ensure strategic direction, Management supervision and adequate control of the company, with the ultimate goal of increasing the long-term value of the Bank. 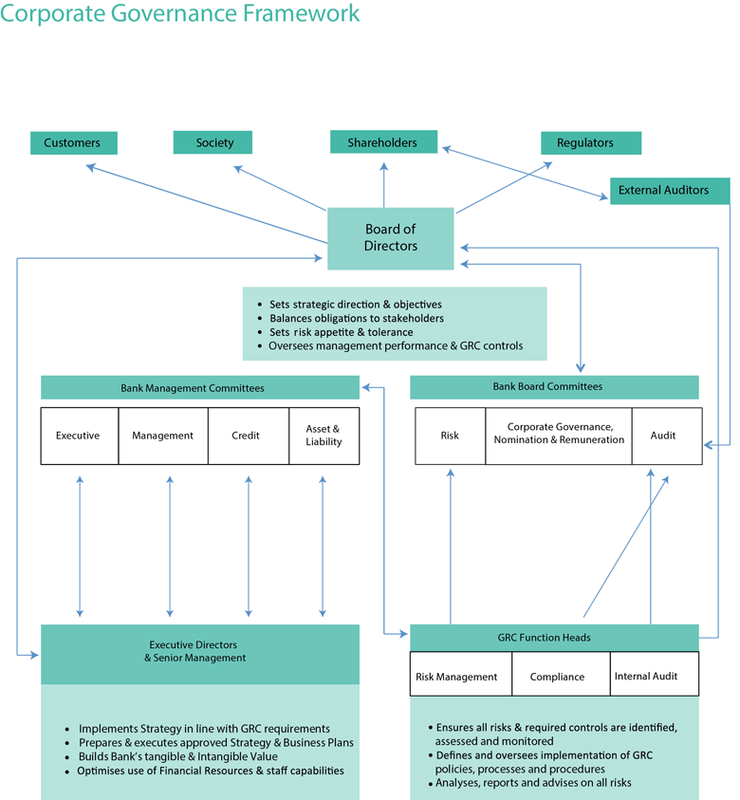 Bank Audi’s Governance framework and that of its major banking subsidiaries encompass a number of policies, charters, and terms of reference that shape the Bank’s Governance framework over a wide range of issues including risk supervision, compliance, audit, remuneration, evaluation, succession planning, ethics and conduct, budgeting, and capital management. Clear lines of responsibility and accountability are in place throughout the organization. Strategic objectives setting corporate values and promoting high standards of conduct have been established and widely communicated throughout the Bank, providing appropriate incentives to ensure professional behavior. The Bank’s Corporate Governance Guidelines are accessible on the Bank’s website at Corporate Governance Guidelines The Board is supported in carrying out its duties by the Audit Committee, the Risk Committee, the Corporate Governance ,Nominations and Remuneration Committee, and the Executive Committee.